How long is the certificate good for, how many years is it valid? The certificate years of validity is set by each state. To view your state law, go to the home page, click on the course you are interested in, and click on your state on the map page, then scroll down to find the certificate duration or length of time the certificate is valid for that course, for your state. Can I print my certificate right away? Yes, you can print your certificate right away, which allows you to show it to your manager at your job. In some cases, you can print a temporary certificate, but that is not valid, it is only proof of completion (for your manager). How do I get a wallet card? Wallet cards are sent automatically after you complete the course, normally you will receive it within 14 days. Some states do not allow wallet cards, but we send out cards to all states that allow the wallet cards. How do I sign up and take a Responsible Serving® course? You can sign up from the home page, and you will be emailed a username and password. When you log in, you can review the lesson material, which includes practice quizzes, examples, case studies, and lesson quizzes. Once you pass all the lesson quizzes and the final, you will have graduated from the course. Can two students use the same account, can I purchase two courses and provide one to someone else? No, all students need their own email address and their own account. All students must take a course from within their account. 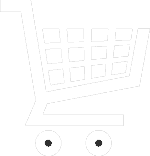 If you are purchasing for both yourself and your friend, you will need two email addresses and you can make two separate purchases, one for yourself, and one for your friend (with their email address). If you are purchasing for a large group, you can set up an employer account, for group pricing. When you click on a course from the home page, and you click on your state from the map, you will see the data on what type of certificate you will receive in your state. What if I spell my name wrong on the certificate? Once you graduate, your name is submitted to state databases, so you cannot change the spelling once you graduate. If you have course problems after you graduate, you are required to fill out an appeal form, which is a way to get course support after your graduation. Appeals are pretty rare, since you can normally get most questions answered via the phone. The Responsible Serving® course teaches you how to serve food, alcohol or tobacco responsibly. Food handler training has to do with serving food without contamination, and Responsible serving of alcohol training teaches how to check IDs and how to reduce drunk driving. The tobacco training mainly focuses on checking IDs. Yes, our course will issue you a nationally recognized certificate. The benefit of taking the course online is that you can work through the course on your own time and at your own pace. And you can take the course from any location where you have access to the internet. The Responsible Serving® course is a requirement to serve alcohol in some states. 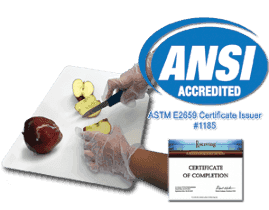 The Responsible Serving® of food course (for food handlers) is required by several states for food safety reasons. Some bars or restaurants may also require that you take the responsible serving® of alcohol course, in order to lower the bar or restaurant's insurance rates. Having this certificate will also help you stand out from other applicants when you apply for a job . The Bartender Mixology course teaches you how to make drinks, provide excellent customer service, bar terminology etc. This certificate will also make you stand out from other applicants and help you find the bartending job you desire. Advanced courses like Wine Knowledge and Liquor Knowledge can help you increase your tips and advance your career! The quizzes and exams are all computerized and are taken online, from inside the course. The software will grade the quizzes for you and show your results on the screen. Your scores are also recorded in an online database. Can I just listen to material, or watch a video (to pass the course)? Most states will not allow you to obtain a certificate via strictly audio or video presentations. This is an interactive course, so while there is audio and videos are used for case studies, you will need to click forward on each page, and contemplate scenarios then make choices. But, the course is designed to learn the material quickly, and to help students pass the quizzes.